A real Vancouver Canucks supporter needs a real Vancouver Canucks cap. Here at Hatstore you will find various caps with the Vancouver Canucks logo. All caps are of course licensed and genuine in order to guarantee the highest possible quality. Among our assortment you will find both flexfits and snapbacks, so that you can find the hat that suits you best. Find your new cap today - fast delivery from our warehouse. 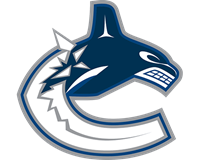 The Vancouver Canucks are a Canadian team from a city that, like all of Canada is devoted to hockey and the NHL. The Canucks are the biggest team in Vancouver, which is one of Canada's ten largest cities. With a large crowd of fans, the Vancouver Canucks always have great support at all their matches. If you are a Vancouver Canucks fan, it goes without saying that you should have a Canucks cap.